At the start of the year, we hosted a series of webinars offering strategy tips and examples from the field to help our customers get started with their online video planning for 2011. Some of our most popular sessions focused on HTML5 and Mobile Video. 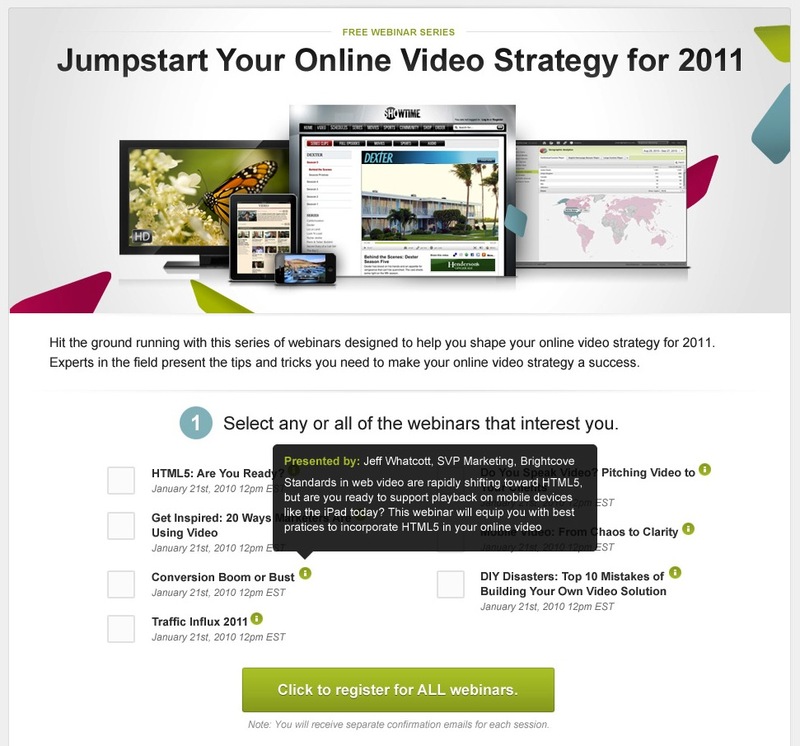 Here's a quick look at those sessions from Jumpstart Your Online Video Strategy for 2011. Standards in web video are rapidly shifting toward HTML5, but are you ready to support playback on mobile devices like the iPad today? This webinar will equip you with best practices to incorporate HTML5 in your online video strategy. Mobile subscribers watching video on mobile devices increased by 44% in the last year alone (Nielsen)! While audience growth is exciting, the proliferation of diverse devices, standards and operating systems can make mobile video delivery a daunting prospect. We’ll help you navigate the complexity of video delivery for both mobile applications and the mobile web in this session. Theses webinar sessions and more are now available to watch on-demand for free with registration. Win an iPad: Experience Mobile and HTML5 Video in Your Hands! After you've gained valuable insights watching these videos, sign up for a free trial. This April we're highlighting the importance of mobile and HTML5 video and our Smart Players with an iPad 2 promotion. It's easy to become eligible: sign up for a trial, upload a video, and you could win one of five iPads throughout the month.